The American Association of Orthodontics has stated that around 4 million Americans are using braces. The use of braces doubled from 1982 to 2008. Braces are a series of stainless steel brackets that are attached to each tooth and bands are used to anchor them around the molars. A thick wire is used that exerts pressure to the teeth. In order to improve patients’ orofacial appearance dentists recommend using braces. Orthodontics can eliminate problems of crooked teeth, crowded teeth, incorrect jaw positions, incorrect jaw joints, underbites, and overbites. There are certain measures that must be undertaken for braces before and after the treatment period. Dental disorders can result in many problems, such as smaller jaws and narrow dental arches. People with irregular patterns of teeth or overcrowding suffer from persistent headaches. All of these conditions will require braces to straighten the teeth. According to Seton Hill University, 25% of orthodontics patients are adults, which means braces are quite common for adults. 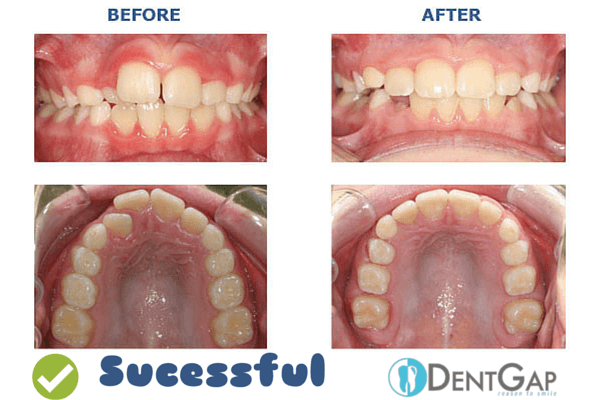 The Procedure of Braces before and after children and adults is same. In first visit, orthodontic checks your teeth and their positions, and make decision. When it will be removed, how much time it will take to straighten your teeth. and will guide you about teeth whitening. Orthodontic might take photos of your teeth before getting braces. Until the dawn of modern dentistry, it was thought that fabular tooth worms and unbalancing of four humoral fluids caused dental pain. Around 100 dentists worked in the US in 1825. That number increased to 1200 in 1840. In 1837, financial panic drove up the unemployment rates amongst many industries, particularly manual workers. Looking to maintain a living, many of these unemployed turned to becoming dentists. In the 20th century advanced and modern techniques were starting to be used in the field of dentistry. Microbiology allowed doctors to establish links between cavities and diets. As more sophisticated methods of treating dental problems were developed, the need for tooth extractions started to drop substantially. Modern orthodontics involves individual diagnosis and mass produced technologies. Advancements in methods of brushing, flossing and the study of microbiology has enabled earlier treatment of tooth decay thus preventing further damage to teeth. The orthodontics industry has also been able to create the image of the perfect smile as a basic tenant of a good life. Perfect smiles lead to better lives and increased satisfaction. Orthodontics involves high costs, so people also use home remedies for teeth straightening and other dental issues. One increasingly popular method involves rubber bands and plastic mould kits. This is inadvisable, as unsupervised and undirected practices can result in lesions around teeth roots. The teeth can even fall out entirely. Aligners provide a series of clear, customized appliances for teeth adjustment. 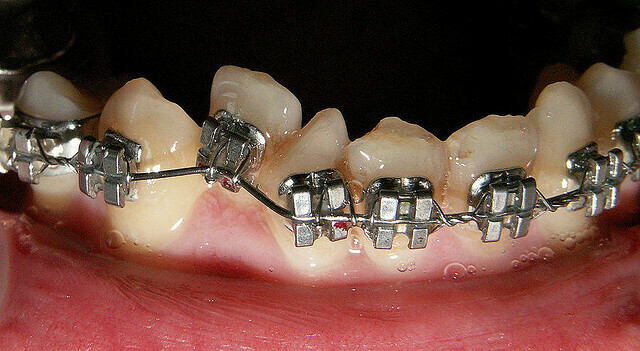 These braces are not visible, and they are not attached so these can be removed to eating and clean. The treatment duration for wearing braces differs according to the severity of problem, but is usually one to two years. The younger the patient, the simpler it is to resolve spacing issues in less time. Traditional braces are tightened after every week. The jaw feels sore and tightened after every visit causing some discomfort to the patient. Other orthodontic options may cause less discomfort, but there will always be some level of discomfort when introducing something foreign into the mouth. Keep an eye at the measures for the time span of braces before and after. There’s no age limit on treatment with braces. When most people think about braces they think of teenagers with mouths full of metal. Nowadays adults regularly get braces, and many options are available on the market to make them discreet. The most important factor in being treated with braces is the condition of the gums and the jaw bones. If your gums are not in good condition than the pressure on the gums can cause complications. Before getting braces it is important for you to choose an experienced and qualified orthodontist. Many general dentists can perform basic orthodontic treatments, but they don’t have the level of specialization that orthodontists do. Orthodontists are able to treat more complex cases more effectively. They are experts in how teeth and bones move and adjust over the course of treatment, and will provide you the best results. Always get examined by an orthodontist before embarking on any treatment. They’ll be able to give you the best advice for how to proceed with treatment, from which type of brace to use, to how long treatment should take. Which type of braces you can use will depend largely on how seriously your mouth need correction. Many people, for example, will think that they can get Invisalign. An orthodontist knows, however, that Invisalign is only suitable for light to mild teeth corrections. It cannot be used to treat heavily crowded or misaligned teeth. Your orthodontist will examine your mouth and suggest the best type of dental braces to most effectively treat your specific problem. Braces are an expensive treatment. Costs range from around $3000 to $6000, depending on the type of braces used and the length of treatment needed. Many health care plans will cover orthodontic treatment, and many dental care clinics will have payment plans that make treatment more affordable. In this part of the article, we are going to share some great images of people, who are using braces. Here is the result of braces before and after buck teeth, You can clearly see the successful story. 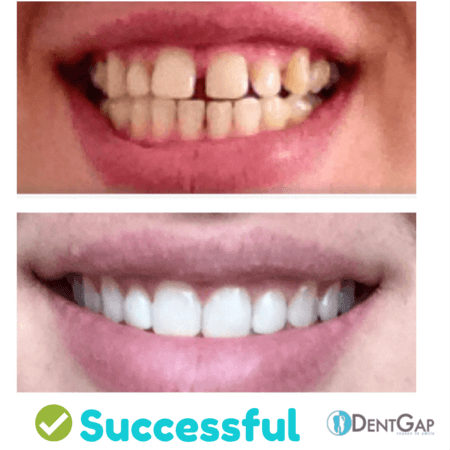 This is another result of braces before and after the gap. You can see again it’s successful story. 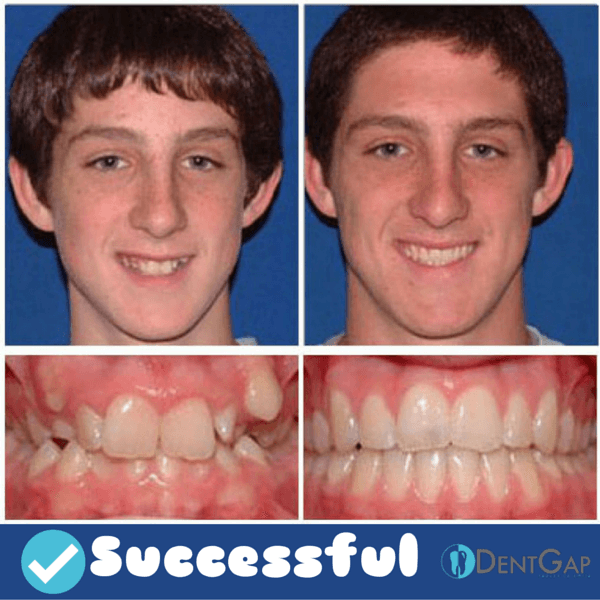 These are some best collection of braces before and after images and pictures, which can make you sure that it does not pain only.